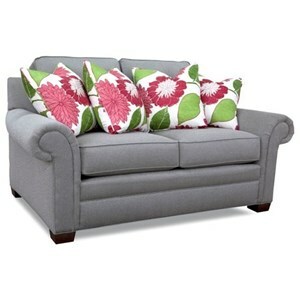 Create a comfortable and stylish look in your living room or family room with this custom upholstered sectional sofa. High quality construction means that this American-made furniture is built to last. 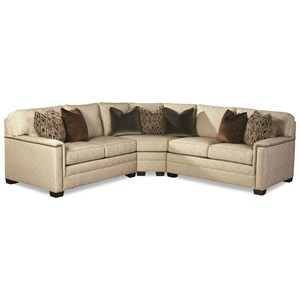 Choose from different sectional pieces to configure a group that fits your room perfectly. 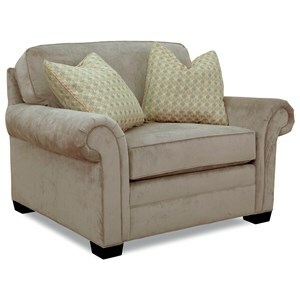 Further customize the style by choosing an arm style, cushion option, base, and fabric upholstery. 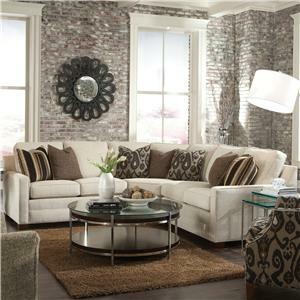 For a truly unique style that is all your own, add this customizable sectional to your home. 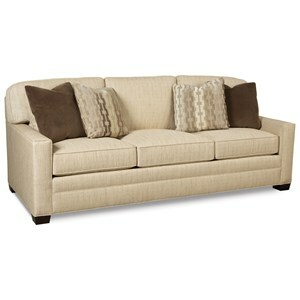 The 2062 Oasis Sectional by Huntington House at Belfort Furniture in the Washington DC, Northern Virginia, Maryland and Fairfax VA area. Product availability may vary. Contact us for the most current availability on this product. 100692399 LAF LVST 1 59.5" 40" 39"
585012725 RAF Corner 1 98.5" 40" 39"
Arm Straight track arm with welt cord trim. Additional arm options available. Leg or Skirt Tapered exposed wood legs. Additional base options available. The Solutions 2062 Custom Upholstery collection gives you choices to customize the sofa style to suit your personal preferences. Transform your living room or family room into a comfortable gathering space with this high quality American-made upholstery collection. The 2062 collection is a great option if you are looking for Contemporary Contemporary furniture in the Washington DC, Northern Virginia, Maryland and Fairfax VA area. 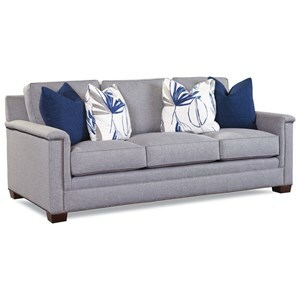 Browse other items in the 2062 collection from Belfort Furniture in the Washington DC, Northern Virginia, Maryland and Fairfax VA area.